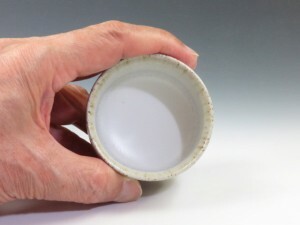 A white sake cup with liquid-type clay application ! 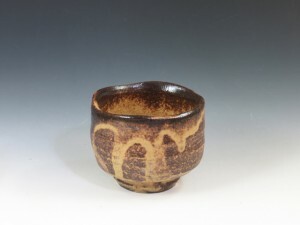 A brown “Irabo” glazed sake cup with impressive glaze flow and wavy lip ! A calmly sophisticated sake cup with a golden ring on the lip !! 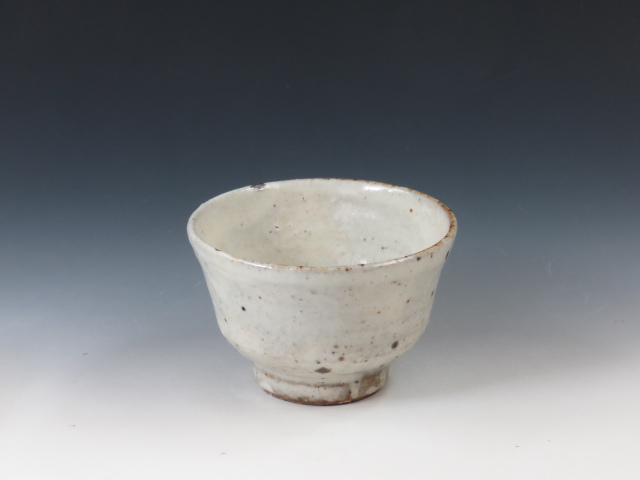 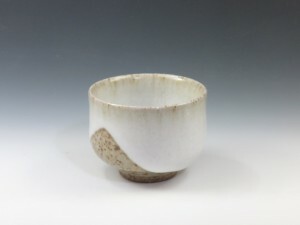 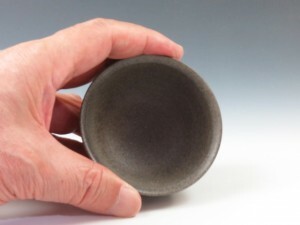 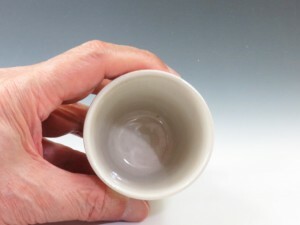 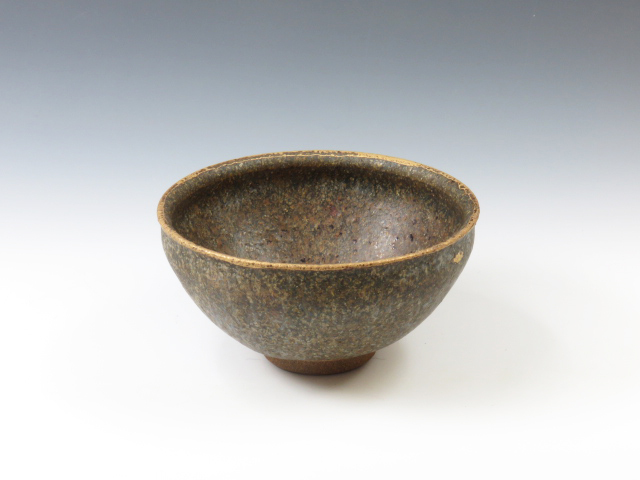 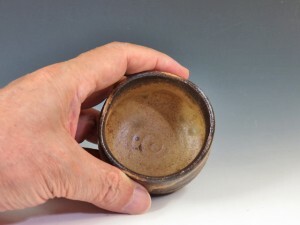 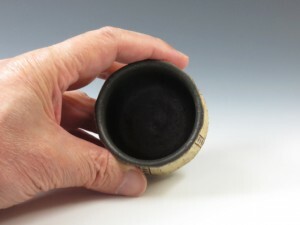 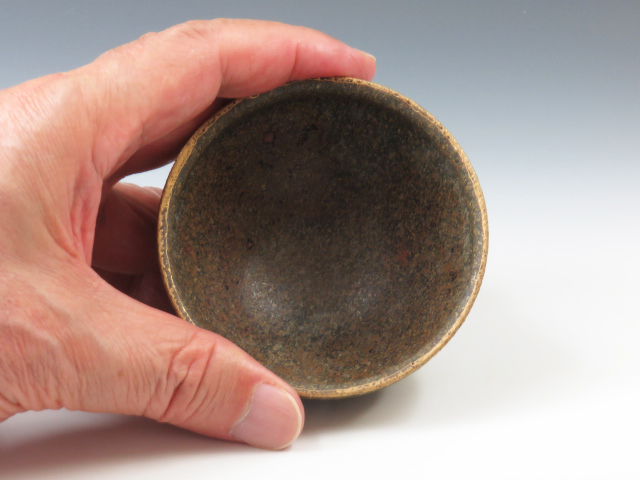 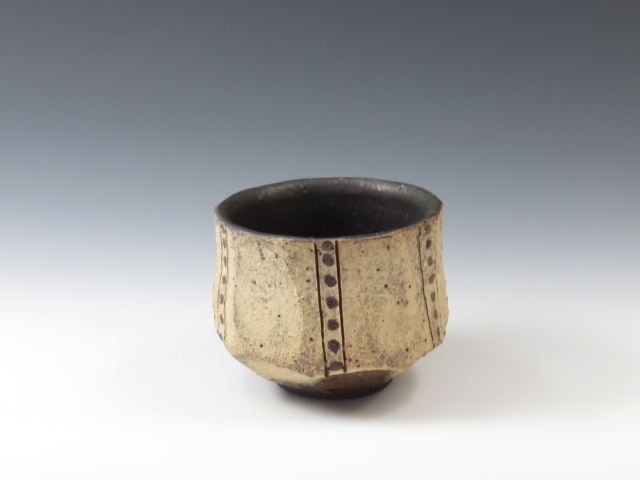 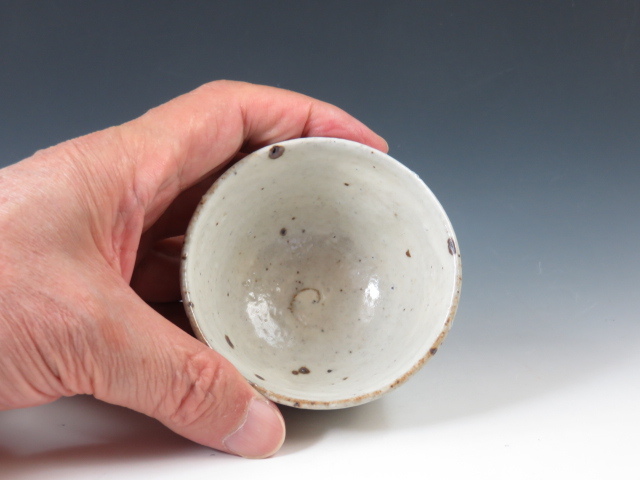 A smooth sake cup thickly applied with white glzae over iron-rich clay ! 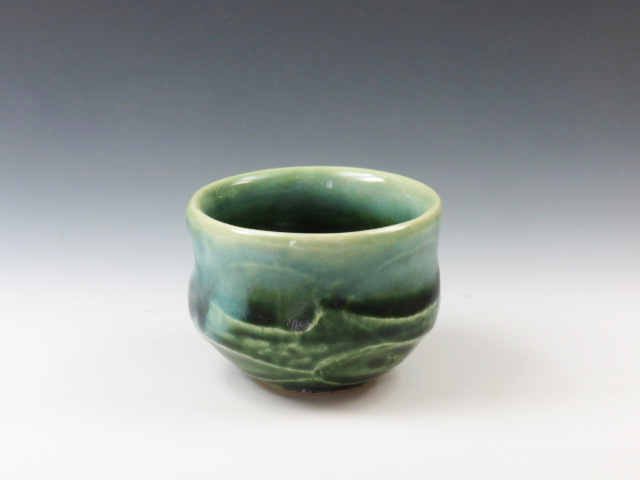 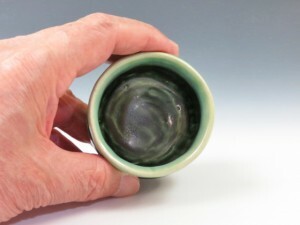 A beautifully shaved sake cup applied with glaze in light and dark shades of green ! 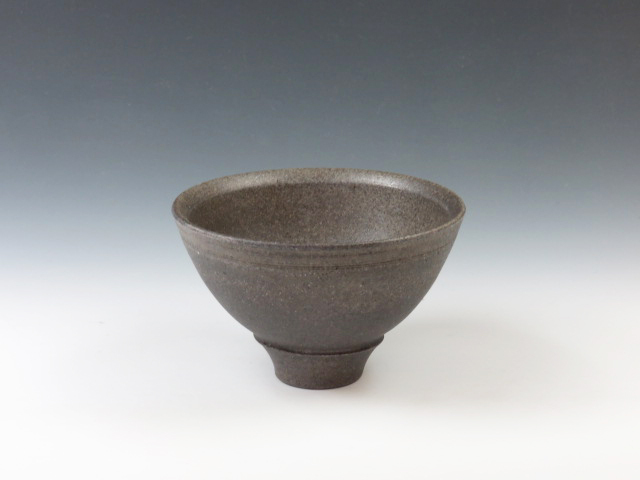 A smooth black sake cup unglazed with an unique cone-shaped foot ! 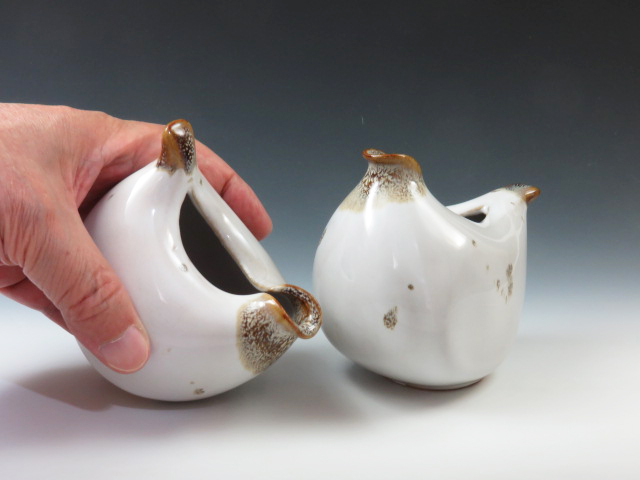 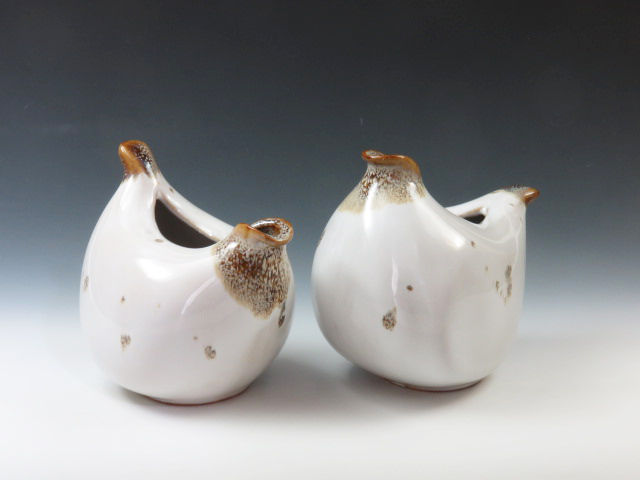 A pair of his-and-hers sake serving vessel with the form of white grouses in winter Tateyama ! 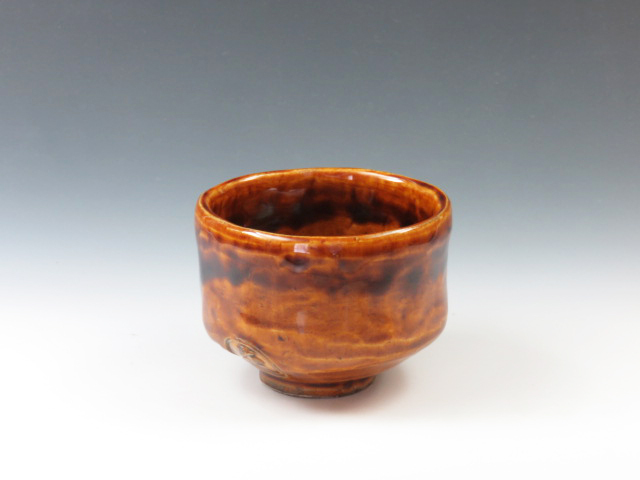 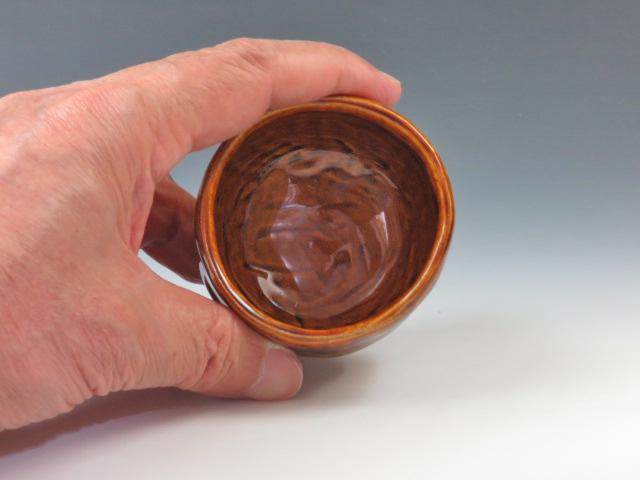 A soft-to-the touch sake cup applied with traditional “Ameyu” or caramel brown glaze ! A faceted sake cup with a contemporary design in new Tanba style ! 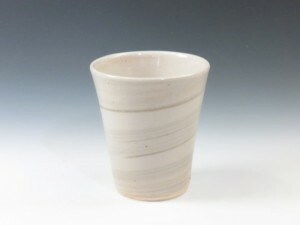 A sophisticated porcelain sake cup formed with light brown marbling clay !